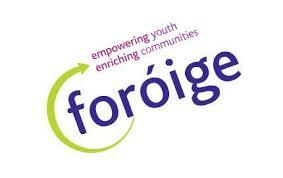 Congratulations to the Coachford Foróige quiz team who were victors in the West Cork District Table Quiz. Their first event as a fully fledged club in the division and their first victory. Leah Buckley, Eoin Walsh, Tadgh O’Brien Bradley, and Josh Martin. 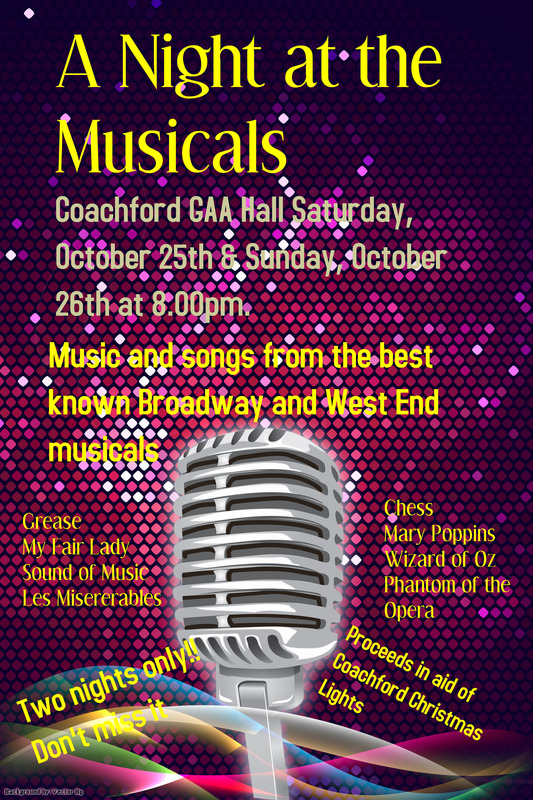 Coachford is preparing for a ‘ Night at the Musicals’ on Saturday 25th October and Sunday 26thOctober. The show which features some of the best known songs from the hit musicals of Broadway and the West End takes place in the GAA hall at 8pm each night and is not to be missed. The performers come from across the community and features members of the Coachford Players, Broomhill Vintage club, Church choir, GAA, Soccer Club, Tidy Towns, Parent Association and the Community Council. The 25 strong choral group will sing and perform musical numbers from Annie, Sound of Music, Grease, Fame. 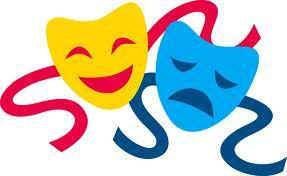 Les Miserables, 42nd Street, Carousel and many more. The proceeds are in aid of the Coachford Christmas Lights Appeal. 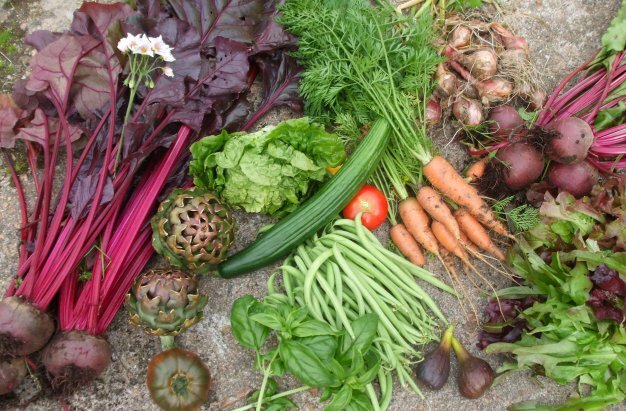 The Coachford Farmers market takes place this Saturday, October 18th from 10.30am to 1.00pm in the GAA hall. Home produced goodies such as sauces, jams, chutneys, cheeses, cakes, vegetables and much more are available throughout the morning. Fair-trade coffee and tea are also available as well as a second hand book stall. The Annual General Meeting of the Aghabullogue, Coachford Rylane Community Council took place last Thursday night. Outgoing chairperson, Deirdre O’Donovan thanked her fellow officers for all the support during the year. Outgoing Secretary, Martina Casey outlined the various projects completed during the last 12 months and thanked all on the committee for their attendance at the meetings and for supporting the workings of the ACR Community Council. At the election of officers, Willie Dennehy, Rylane was elected as Chairperson, Aedh McGinn, Aghabullogue was voted in as Secretary. Brenda Tarrant, Coachford is the new Treasurer and Doug Lucey , Coachford was returned as PRO. The continued implementation of the VDS is a priority of the council for the remaining few months of the life of this council. Chairperson, Willie Dennehy proposed that the council investigate the possibility of turning the council into a Limited Company in order to apply for and receive funding in a more timely manner and to protect the members of the council. 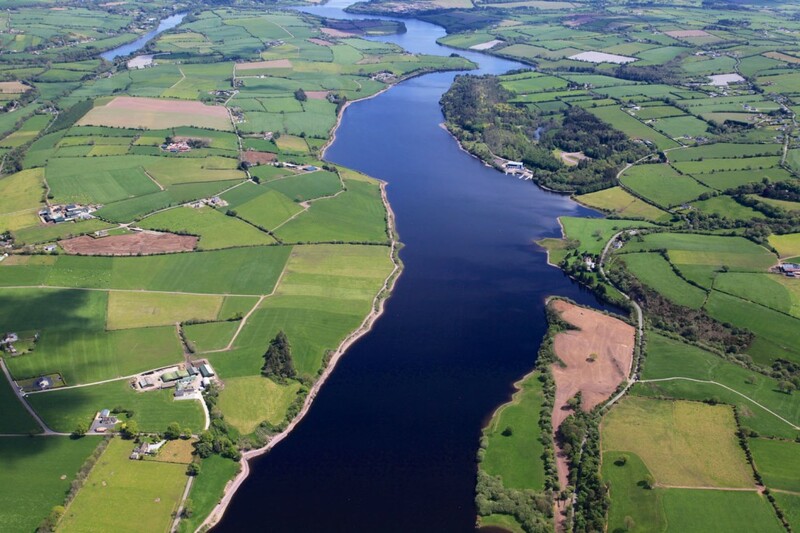 Concern was raised by those present at the move of responsibility for the area by Cork County Council from the Macroom area to the Blarney offices. The council members had a lot of praise for the retired Area Engineer, Faughna O’Driscoll and the assistant engineer Conor Shanahan for the work they carried out in the three villages over the last few years . It was feared that the move from Macroom may now pose new problems for the area as the Blarney office is not as familiar with the ACR area as the Macroom one was. New elections to the ACR Community Council are due to take place in April or May of 2015. The very best of luck to Coachford Players who embark on the one act drama festival circuit this Saturday night when they take to the boards for the Ballincollig Drama Festival. The group will perform ‘Faint Voices’ in the Pyke Theatre near the old Church in Ballincollig. The group have been rehearsing for the last few weeks and have put in a huge effort in preparing for this year’s competition. The actors, Maura Lucey, Louise Lyons, Willie Barrett and Eugene o’Sullivan will take part in six festivals; Ballincollig, Kilmallock, Shannon, Cork, Haulbowline and Rossmore. The members of Coachford Foróige are getting back in action following their summer break and are already preparing for their very first trip to West Cork for a regional disco in December. The 40 member club will be electing their new committee over the next few weeks and the officers will steer the club until June 2015. Last week some of the members baked cookies while others enjoyed board games and Bingo. Projects for the next few months will also be planned over the coming weeks. 3rd and 4th class children began a six week training programme in cycling safety in September. The initiative is promoted by Cork County Council and Cork Sports Partnership. The children are receiving expert tuition on how to cycle safely in public from trainer John Clancy. The sixth class boys and girls will receive their confirmation on Wednesday 15th April 2015 in St. John’s Church, Aghabullogue. The Coachford Under 18s play in the second round of the Munster Youths Cup on Saturday when they take on a very fancied Mallow United in Carrigadrohid at 2pm . The Coachford A team travel to Mayfield to take on Village United in the second Round of the Munster Junior Cup on Saturday at 3pm. The Killanardrish/Coachford Schoolboys team are in action on Sunday in the Under 14 national Cup when they entertain Crosshaven at home in Carrigadrohid at 10.30am. We wish all three teams the very best of luck.